The winners of the 2018 Australian Women in Wine Awards have been announced today, Friday 16 November 2018 – at the largest ever gathering of Australian women in wine – in Sydney. The awards ceremony was streamed live via the Australian Women in Wine Facebook page to viewers across Australia and around the world. Key figures from the global wine industry, including Jancis Robinson and Joe Fattorini, even participated in the day from abroad by sending in video messages of greeting and support. 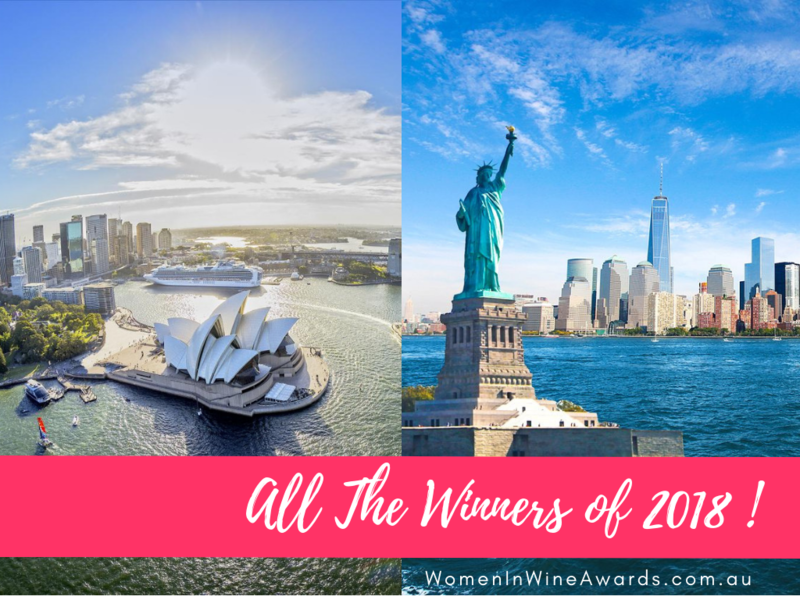 Today the AWIWA also announced that, in partnership with Wine Australia, the 2019 Awards will be held in New York on Tuesday 17th September as part of Aussie Wine Month, which is set to be the largest Australian wine promotion ever held in the USA. Further information about this will follow in coming weeks. Silver partners this year included Riedel – who provided all winners with a commemorative engraved decanter – Barrel Finance & Logistics, Barraket Stanton & WineTitles Media. Bronze partners were Hahn Corporation, Classic Oak Products, Four Winds Vineyard and CSIRO. Please show your support for all our partner and category sponsor businesses in the coming year, as they are the visionaries who make these awards happen!